retaining its current Union Jack flag. Back when we first arrived in NZ, there was a special referendum to consider replacing the New Zealand flag. For more about the reasons proposed for changing the New Zealand flag, the process and the options considered, click here. Yesterday, Kiwis placed their vote for whether or not to keep their existing Union Jack flag. And the winning flag is…. Retaining the Union Jack over the silver fern on the New Zealand flag, by 56.6% to 43.2%. There was a stronger emotional tie to the current flag and all it stood for? The popular consensus is the old design looked better than the new one? The $26 million for the special referendums plus the potential costs associated with changing the flags? I confess to confusing the New Zealand and Australian flag, which to my untrained eye are pretty similar. Would I be more inclined to move away from the Union Jack for a more independent identity? Probably. However I didn’t understand why a special referendum was run, rather than economizing on the vote by including the referendum voting process with something that already required the ballot process. There are a lot of extra costs associated by a separate vote, and the flag referendum required at least two of them – one to select the flags in the running, then one to vote between the final choice and the current flag. 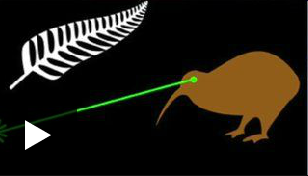 Wayne said he thinks they should've gone with the Kiwi with the lasers. Uhhh, I don't believe he's serious. Did I like the final new flag design better than the current flag? No. I liked the silver fern best for what it was best know for, set against black for the “All Blacks,” New Zealand’s world renowned rugby team, even though I’m not a rugby fan. 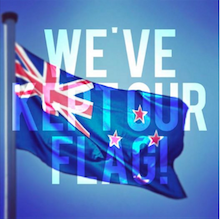 Would I vote against a flag just because of the process and any ill will I might harbor regarding John Key? Probably not. If it were up to me, I’m not sure what my vote would be. Meanwhile, the people of New Zealand have spoken. Town Basin bridge over the Hatea River. 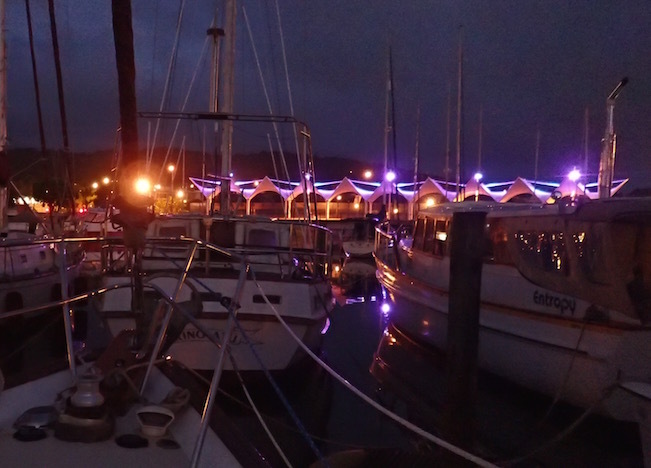 Location LocationOur boat’s finally back on a pole mooring in Whangarei’s Town Basin Marina (S35.43.412 E174.19.539), though by the time you read this, likely we'll be road-tripping down New Zealand's North Island for about a week.